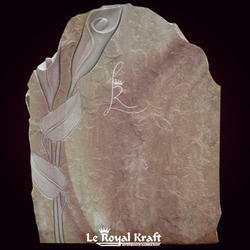 We offer high quality Sandstone Handicraft to our clients. These are designed as per the requirement of the clients. 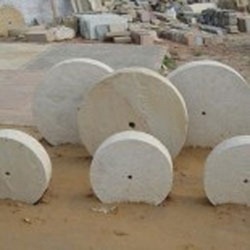 These Sandstone Handicrafts are made with quality Sandstone. We deal in Sandstone Pooja Article of best quality and we offer them to our clients. These are meticulously crafted by seasoned artisans and are widely demanded in the industry for their excellent designs. Moreover, our range of Sandstone Pooja Article can be customized as per clients requirement. The company has firmly established itself among the prominent Manufacturers, Exporters and Suppliers of Sandstone Balls. Based in Makrana, the company has achieved remarkable efficiency in delivering the very best Sandstone Balls to the clients every time. The Sandstone Balls are quality products with a wide usage. Backed by rich industry experience, we are presenting our clients a broad assortment of Grill Sandstones. Our product range is largely used on the walls of living room and garden. These products are manufactured in our well established fabrication division as per the international quality standards and are available at reasonable prices. With enriched market experience, we have been able to offer a wide spectrum of Sandstone Sphere.